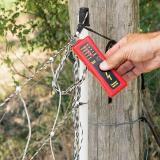 This wireless tester has 5 lights that flash and indicates the approximate voltage on your electric fence. Unscrew back cover of tester and insert the included 9V battery. Use the “Push” button to receive a voltage reading. If the low battery indicator light is on, change the 9V battery. Recommended: 18 out of 18 said they would recommend this product to a friend. 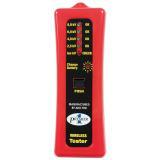 Indispensable for testing for proper power and maintenance. Wireless. Fits in a pocket. You want this tool. 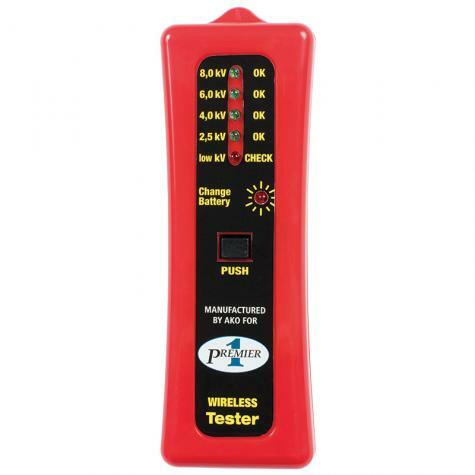 The greatest tester I haver owned. The lights are bright enough to read in the bright sun. No ground wire needed. Reads accurately. I like this tester very much. I bought this one in Nov 2018 however to replace one I bought in June 2018. The one I got in June quit working so I took it apart to diagnose the fault. The center detent on the thumb switch would not activate the tester properly.